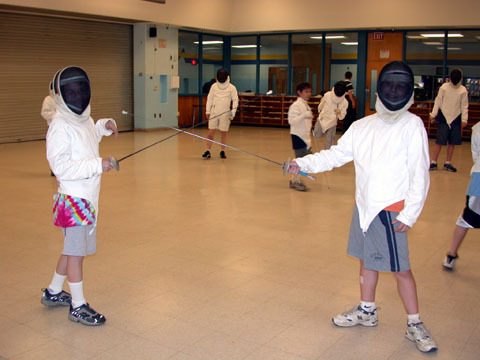 Daniel and a friend fencing. 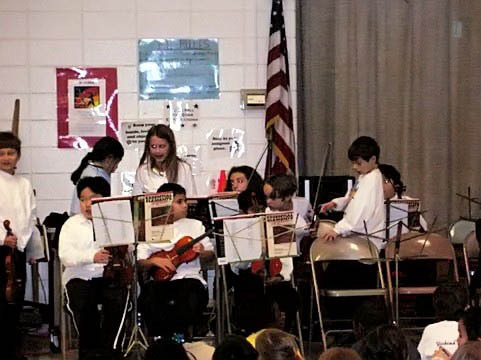 Adam and the intermediate strings consult before the concert. 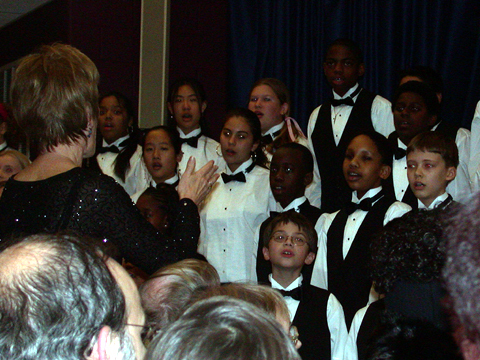 Daniel singing with his school chorus at the middle school winter concert, 2004. 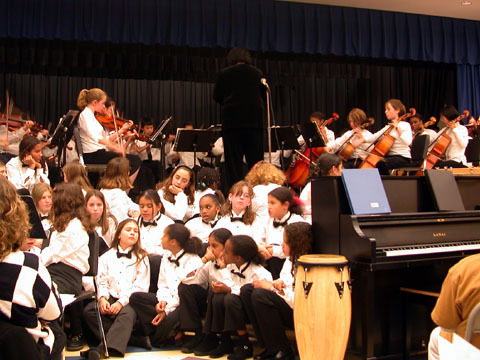 The chorus, bored, sat while the intermediate orchestra played. 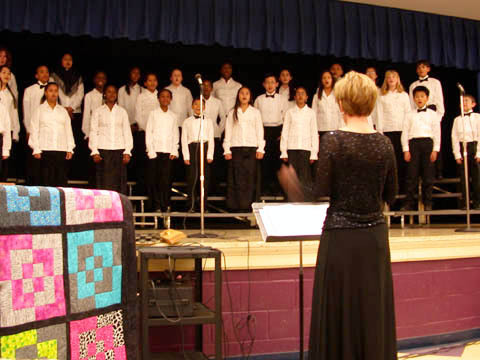 The chorus director, Mrs. Cowart, conducting singers and the string quartet at the middle school winter concert, 2005. 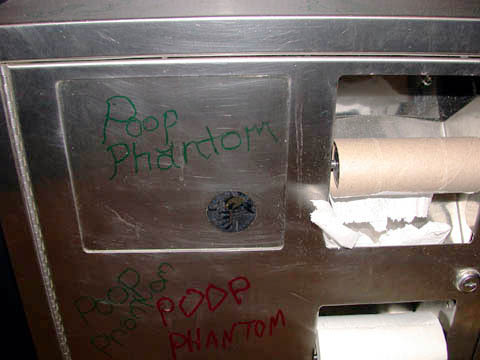 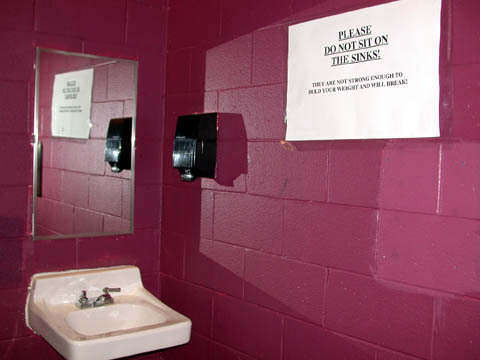 ...does one get to see sights like this in the bathroom.